Pastor Abraham Ben Moses has been sentenced to four years in prison for blasphemy. 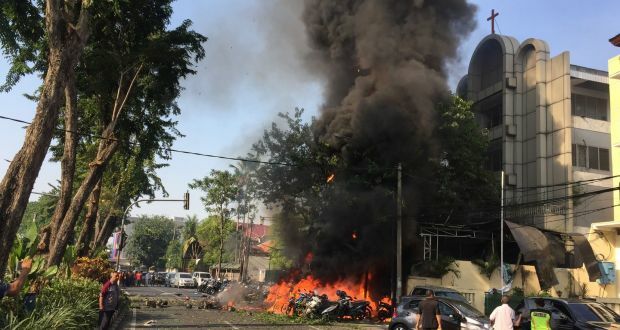 An Islamist family has bombed three churches in Surabaya, capital of East Java province, killing thirteen people. 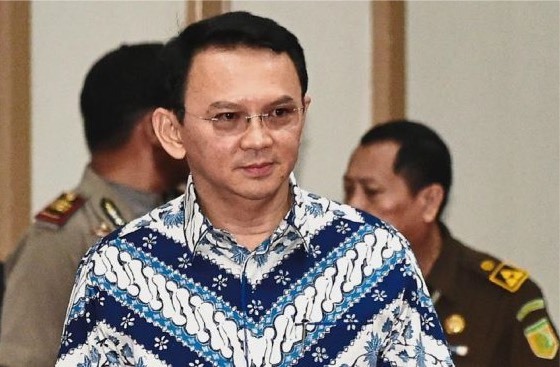 On 9 May 2017, North Jakarta District Court sentenced Jakarta’s outgoing governor Basuki “Ahok” Tjahaja Purnama, an ethnic Chinese Christian, to two years in prison for blasphemy. 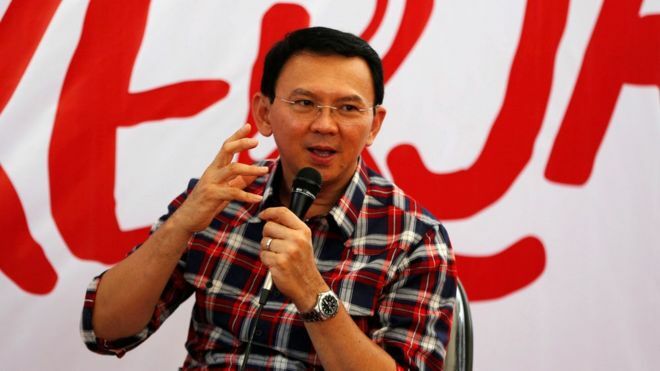 Jakarta’s governor Basuki Tjahaja Purnama (pictured), popularly known as “Ahok”, has been accused of blasphemy. His trial began on 13 December. 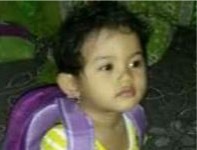 Three-year-old Intan Marbun (pictured) died following a bomb attack on her church on 13 November by an Islamic extremist, and four of her friends were injured. INDONESIA: Sunday School teachers released! Dr. Rebekka Zakaria (pictured right), Eti Pangesti and Ratna Bangun were released from prison earlier today. The three Christian women were released on parole ‚Äì having served two years of a three year sentence handed out for running a ‘Sunday School’ that included some local Muslim children. The women left the prison at 9am local time and went immediately to be reunited with their families. Rebekka, aged 49, is married and has a daughter and son at university. She and her husband also have an adopted adult daughter Linda, who regularly brought food to the women while they were in prison. Eti, aged 45, is married to Sutrisno and they have two daughters (aged 21 and 15) and a son, aged eight. Ratna, aged 40, was looking forward to a reunion with her husband Sembiring and her two sons, Joshua (10) and Christopher (8). Throughout their imprisonment, the ladies remained powerful witnesses for their Christian faith. They transformed the prison by cleaning washrooms and toilets, scrubbing cells, working on the garden and even painting in bright yellow and blue the walls of the room they used for church meetings. Within the women’s section, quarrelling was reduced and because of Rebekka, Eti and Ratna’s calming influence the guards overruled prison protocol and allowed each woman to have her own knife and spoon in their cell. On November 22nd, an Indonesian court denied the appeal of three Sunday school teachers convicted of preaching to Muslim children in western Java. The three women, Rebecca Zakaria, Eti Pangesti and Ratna Bangun, are serving a three-year prison term after being convicted of proselytizing Muslim children who attended their Sunday school class. Under Indonesia law they can make only one more appeal to have their sentences reduced. The women, who have been in prison for six months, maintain that they have been wrongly convicted. Eti Pangesti owns the house where the three women held the Sunday school programme that was attended by Christian and Muslim children. In the area, in Harleguis, we spoke to Eti’s family. We asked 10 year old Leila how she feels about her mother being in prison. She said, “I‚Äôm proud of my mom because she is doing this for God.” I saw some of the materials, such as colouring books, used for the Happy Sunday school Program these three women taught. About 20 – 25 children would come over and praise and worship God. Earlier this month, Indonesian judges sentenced three women (pictured left) to three years in prison for allowing Muslim children to attend a Christian Sunday school programme. Rebekka Zakaria, Eti Pangesti and Ratna Bangun received the sentence after judges found them guilty of violating the Child Protection Act of 2002, which forbids ‚Äúdeception, lies or enticement‚Äù causing a child to convert to another religion. The maximum sentence for violation of the Act is five years in prison and a fine of 100 million rupiah (‚€8,000 approx.). The Sunday school teachers had instructed the children to get permission from their parents before attending the programme, and those who did not have permission were asked to go home, according to Jeff Hammond of Bless Indonesia Today, a Christian foundation operating out of Jakarta. None of the children had converted to Christianity. When the verdict was announced, the courtroom crowd erupted with shouts of ‚ÄúAllahu akbar‚Äù (‚ÄúGod is great‚Äù). The three women, described by friends as ‚Äúordinary housewives,‚Äù were relieved that they had not been given the maximum five-year prison sentence. All three, however, were devastated at the prospect of being separated from their children, who range from 6 to 19 years of age. As they have done throughout the trial, Islamic extremists made murderous threats both inside and outside the courtroom. Hammond said several truckloads of extremists arrived; one brought a coffin to bury the accused if they were found innocent. Rev. Rinaldy Damanik walked free from his cell at the Maesa Detention Center in Palu, Sulawesi, on November 9 after authorities granted him an early release. A smiling Rinaldy greeted the small crowd of friends and reporters who had gathered outside the prison and expressed thanks to those who had campaigned on his behalf during the imprisonment. Before his arrest on what many believe were false charges, Rinaldy worked tirelessly to provide relief for Muslim and Christian victims of the sectarian violence that erupted on Sulawesi island in the late 1990s. He was also a signatory of the Malino Peace Accord, signed in December 2001. The breakthrough for Damanik‚Äôs early release came in August this year, when a respected Muslim cleric, Idrus R. al Habsy, befriended Rinaldy after the cleric‚Äôs son, Husen, met Rinaldy in prison. When Idrus learned that Rinaldy had worked tirelessly to promote peace, the elderly cleric became a staunch advocate for his release. On August 20, Idrus sent a letter of appeal to the Minister of Justice and Human Rights, asking that Rinaldy be freed as he was a man of good character. Observers say this letter was vital in securing an early release date. Meanwhile, a press release from Open Doors on November 9 said Damanik planned to continue his work with the GSKT Crisis Center. ‚ÄúWhen I leave, I will continue to do exactly what I was doing before I was arrested,‚Äù he told an Open Doors staff member. While many gathered in Bali to remember the first anniversary of the Bali bombing, the Christian residents of Central Sulawesi were facing a fresh wave of terror by militant Islamists. In the early hours of Friday 10 October, masked militant Islamists attacked the predominantly Christian village of Beteleme in Central Sulawesi.They killed two people and wounded many more. They also torched a church and 38 homes, leaving some 200 homeless.